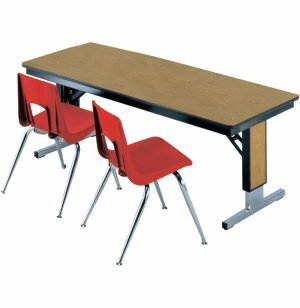 TL Series Table - Fixed Height w/T-Legs 96"x30"
Image does not reflect actual size. See dimensions below. Chairs not included. 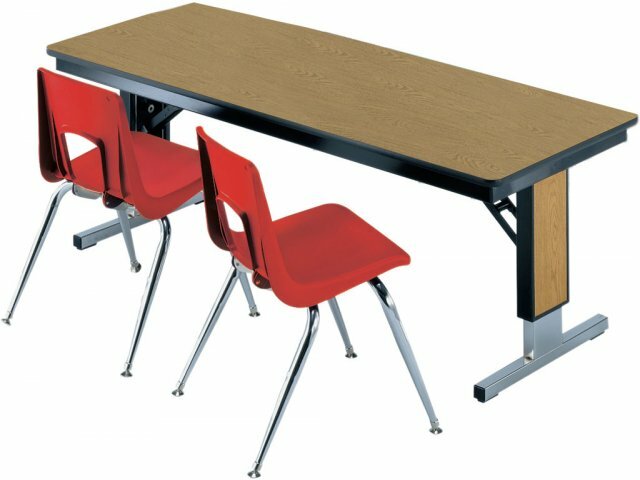 Looking for attractive folding tables that are built tough enough for everyday use but won't make a serious dent in your budget? You just found 'em with the TL Series Folding Tables. Super-Stable: The pedestal bases are designed to be super- stable. Industrial Strength: Midwest's "industrial strength" spring-loaded, case hardened steel detents for years of trouble-free use.